Last weekend I went on a wine tour to celebrate the impending wedding of my two best friends. 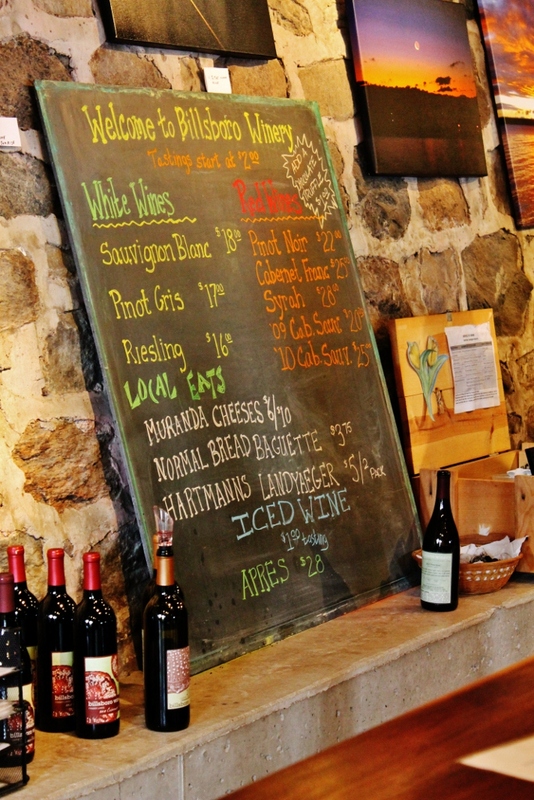 The group had an ambitious agenda and I’ll admit, I didn’t do any research on Finger Lakes wineries before the trip. Due to this oversight, I was disappointed to see that the tasting menu at our second stop was very long on Riesling. I’ve never liked Riesling, and I said as much. My friend Kath, the featured photographer in this post, could not hide her gentle annoyance. “What? That’s what this region is KNOWN for.” Oops! It’s ok Kath, I’d be annoyed with me, too. Aren’t I supposed to know at least a little bit about wine? Fortunately, I learned quickly that I don’t hate Riesling, I’ve just never had a good one. I thought they were all too sweet for my taste, but in fact they range from quite dry to dessert wine sweet. I prefer the dry end of the scale, and my favorite of the day was from Wiemer Vineyards. In general, there was a big focus on local at every place we visited – local cheeses, jams, and vegetables were for sale, and if we hadn’t been so focused on fun and friends we might have even tried them. A highlight reel of the vineyards we visited, in the order we visited them, follows below. 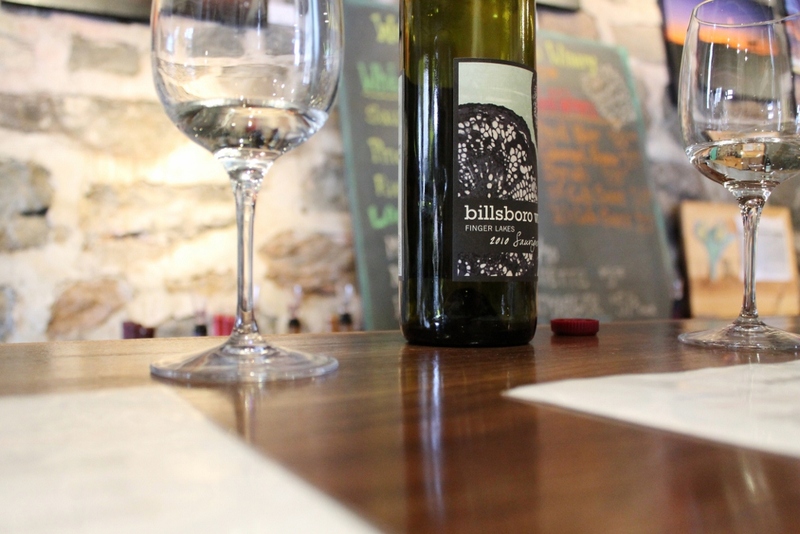 Billsboro Winery: My overall favorite winery (though could be because it was the first and our palates were fresh). The sommelier, Ethan, was incredibly knowledgeable and friendly. Billsboro also had the best reds of the trip, and the bottle labels are very cool. Fox Run Vineyards: Not our favorite, but I think Fox Run was having a bad day. A clown car of fraternity men with fake moustaches and fake IDs had pulled in right ahead of us, and it was all the staff could do to handle them. They did have a great German Shepherd roaming around, and some local pickled garlic scapes to snack on. Anthony Road Wine Company: Wins the award for weirdest decor (LOTS of stenciling), but had a great semi-dry Riesling. Wiemer Vineyard: The most refined winery that we visited, Wiemer was serious without being too full of itself. Large groups get their own tasting room and we got to walk behind the scenes past wooden and metal wine barrels. While it looks like a barn from the outside, the inside of this winery was the most impressive by far. Damiani Wine Cellars: My personal favorite wine of the trip, I purchased a bottle of Damiani’s 2010 Gewürztraminer (rose petals and peach flavor, really nice). They also had some cool wine barrel furniture for sale. Red Newt Cellars: Wins the award for coolest logo, with little newts stenciled on their glasses. Knowledgeable staff and good wine, but unfortunately Red Newt is the last stop for many wine tours, and the clientele was noticeably intoxicated. As we watched several women being propped up by their friends and escorted to their waiting limos, my friends and I silently thanked our twenties for being long gone. Penguin Bay Winery: Unfortunately, as this was the last winery we visited, I have nothing of merit to say about it. Sorry, Penguin Bay, I’m sure you’re quite good.